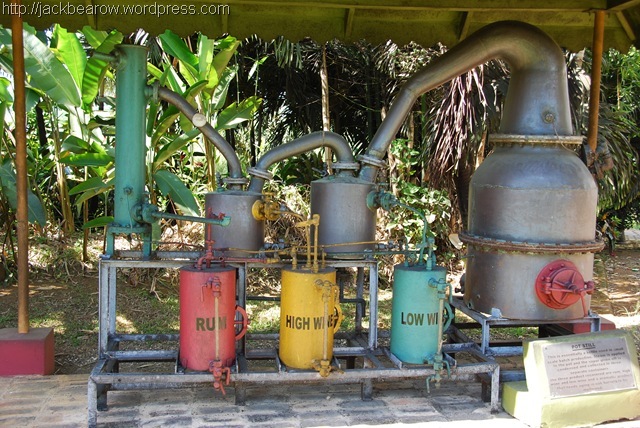 Distilling units for the production of rum seem complicated at first. But once you understand how the system really functions, it all makes sense eventually. We would like to outline the advantages as well as disadvantages of multi-distilling units. In 1801 Edouart Adam (France) developed the first distillery with multiple columns located next to each other. The idea behind it was to transport the different substances from one vessel to another while simultanously separating them by boiling points. Heavy substances condense very early whereas lighter particles are being transported all the way to the last collecting vessel. The condenser for this distilling unit is found at the end and connected to the last vessel. With the development of this distilling system, the way was clear for fractional distilling. As mentioned before, the main goal was to separate the heavy substances first. This could only be done by adding several columns to the distilling unit. The last vessel was intended to be a collector for volatile substances. This includes all particles that condense faster. This procedure sounds simple, but you have to take into consideration that the vessels are constantly heated up again by the steam and thus heavier substances evaporate anew and are being transported further into the last vessel. It can make it difficult to receive pure results. Distilling units like these, however, are perfect to use for larger quantities of mash as they enable a continous distilling process. 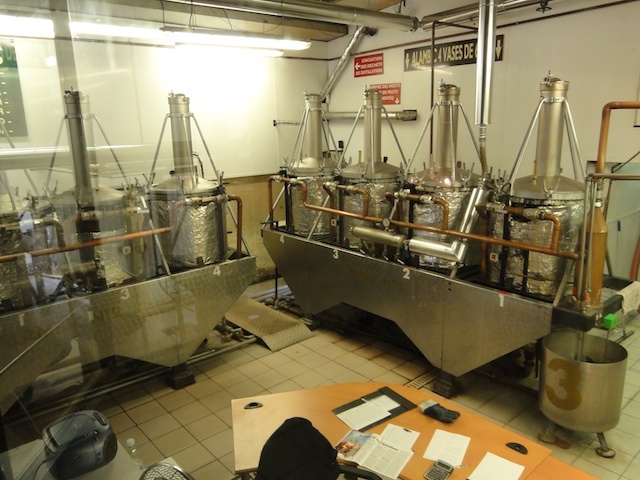 The distilling unit you see in the picture was built with four columns and has been manufactured in France by the distillery "Jean Gauthier". It is still used daily up to this day. Our rum distilling unit "Caribbean"
We had this distilling unit crafted for us in miniature size and decided on having two columns. As you can surely imagine, such a small size makes it difficult to properly distill any kind of mash or high proof alcoho. That's why we recommend using it only once in a while. We mainly use it for decorational purposes and have several exhibition models in our little Aromamuseum. For distilling schnapps and other alcoholic liquids, we would rather suggest using the Arabia 0.5 L. A fully functional and top selling miniature still on a wood base with alcohol burner.